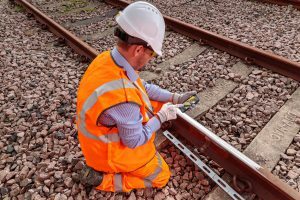 Earlier this month, more than 525 CSX employees worked to complete the company's 2014 maintenance "Jamboree" on a section of its network in the Southeast, replacing about 68,000 ties and 200,000 feet of rail and completing nearly 120 miles of surfacing work. 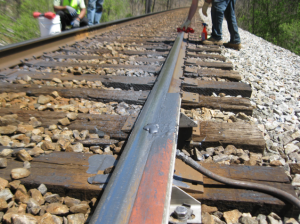 The “Jamboree,” an annual event, compresses about a year’s worth of track, signal and bridge maintenance and upgrades into roughly one week, reducing the impact on customers and communities. 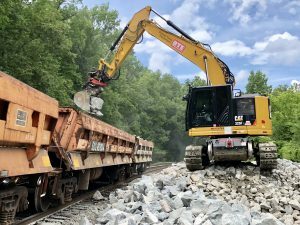 The $25-million worth of work, which ran from June 30 to July 7, focused on CSX tracks and bridges across Kentucky, Virginia, Tennessee, North Carolina and South Carolina. Trackwork was concentrated on key routes between Shelby, Ky., and Greenwood, S.C., and from Bostic to Monroe, N.C. 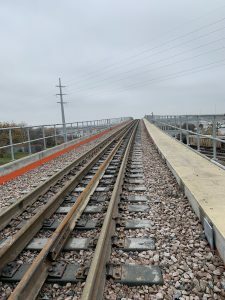 In addition to the track and tie work, CSX crews also converted several open deck bridges to more modern concrete ballast decks.